Do you want your kitchen to be more spacious and stylish? If yes, you have landed to the right place as we design, build and install countertops and cabinets in your kitchen to make its appearance more catchy. 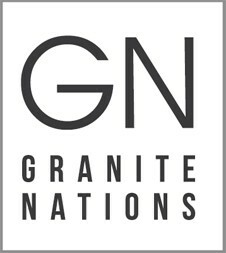 Granite Nations is your locally owned company specializing in granite countertops in Pickering. With our years of experience, we are able to assist our clients in owning a luxurious kitchen and bathroom with brilliant quality and unique design granite installation. We pride ourselves for providing premium quality sinks and backsplashes in variety of design to choose from. Our comprehensive range of products include the sinks, countertops, cabinets, backsplashes and vanity tops that meet with any interior style or decor. At Granite Nations, each piece of our customized silestone, granite or quartz countertop is designed to the perfection. From design to installation, we are one stop solution to provide luxury kitchen and bathroom products in Pickering. Our skilled experts can turn your ordinary kitchen into a fabulous one. Regardless, whether your budget is low or high, our custom kitchen cabinets in Pickering are designed to fit your budget. Our popular products for kitchens and bathrooms give an elegant look and deliver the value to the space. In addition to design and installation, our team of experts at Granite Nations also assist our clients in choosing the right material for making your kitchen look aesthetic. Our all products are of high quality, color, and texture.